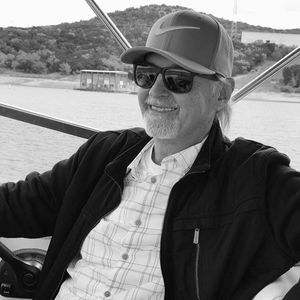 Obituary for Arthur Doty, Jr.
Arthur Doty Jr., 65, of Leander TX went to be with our Lord Jesus Christ on March 11, 2019. He was at home where he was surrounded by loved ones. Arthur was born on April 7, 1953 in San Diego, CA to Mavis and Arthur William Doty Sr. Arthur moved frequently throughout his life ranging from Southern CA to Northern CA where he attended Benicia H.S. and then went on to serve in the US Army in Germany. He rose to the ranks of Specialist 4 and became Acting Platoon Sergeant. Later he transferred to the Engineer (Bridge Tanks) as the leader of that section. He received an honorable discharge for completion of service to his country from 1971-1974. Arthur went on to become employed by Chevron Research Co. in Richmond CA., as a mechanic. He learned various aspects of Operations and Engineering while employed. There he met his wife and they had 4 beautiful children. He moved on to become employed by Exxon in Benicia, CA from 1975-1984. It was at Exxon that he completed an intense 2 year Training Program which included physics, chemistry, thermodynamics, etc., that prepared him for a valuable career in the Petroleum Industry. His years of training, leadership roles, and experience in this field, served him well and lead him to invent, develop and patent, products that are now used as industry standards today. Arthur's entrepreneurial talents enabled him to become the successful business owner of, Blacksmith Tool and American Maintenance Systems. He eventually moved his family to Texas which he has called home for over 30 years. The success of his businesses allowed Art to live a life he loved. He traveled extensively all over the world, lived in places many could only dream of. He satisfied his passion for fast cars, motorcycles and boats. He always said he had a "need for speed!" He also developed an appreciation for the Arts and took up painting a few of his own masterpieces. His love of learning and inventing was continuous. He spent numerous hours reading, taking continuous learning classes and certifications from University of Maryland and Cornell University, and watching documentaries. His life was full of adventures, great stories, along with lots of humor and laughter. Arthur is preceded in death by his parents, Mavis Doty-Chamberlain and Arthur Doty Sr., as well as, his brother Thomas D. Doty and his sister C.E. (Beth) Doty-Havens. 5 beautiful granddaughters; Shannon, Emily, Julia, Jaelyn and January. His children and grandchildren were his pride and joy. He cherished time spent with them. He leaves behind other aunts, uncles, cousins, in-laws and cherished friends. Arthur was loved by many and will be missed by all who knew him. Farewell Arthur, we love you. Add your thoughts, prayers or a condolence to Arthur's guestbook.